If you’re headed to or from Philadelphia, Baltimore, or Washington, D.C., Southwest has the flights, and a bonus to make those flights extra-rewarding. Through September 30, Rapid Rewards members can earn double credits for Southwest flights to or from Philadelphia, Baltimore/Washington, or Washington (Dulles). To earn the bonus, flights must be booked by August 11. Aside from Delta’s triple-mile promotion for Shuttle flights between New York and Washington, D.C., this is the only mileage bonus on offer for flights to or from these three areas. 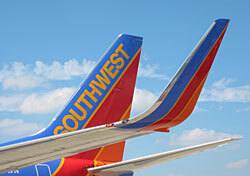 So, if you’re already a Southwest loyalist, this offer is a no-brainer. And if you don’t normally fly Southwest, this might be a good reason to do so now. If you’re aware of any better offers, please chime in.